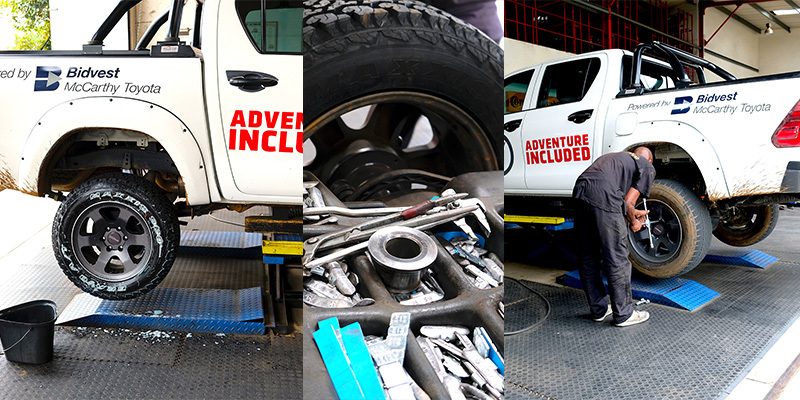 Tyres are key to the performance of your 4×4, both on and off-road – many people do not realize it but they are the connection between your vehicle and the terrain. Buy the wrong tyres or buy cheap tyres and you could end up stick out there in the middle of nowhere. A good deal of R+D goes into the development of tyres, the rubber which is originally white in colour changes to black after the addition of a powder known as carbon black – this aids strength and abrasion resistance, the addition of silica optimizes grip, tread wear fuel consumption and strength. Under the rubber radial belts of steel and nylon help provide structural integrity and strength. The bead is a round woven construction of rubber and high-tensile steel wires that connects the tyre with an airtight seal to the rim, ribs prevent rotation of the tyre under normal pressures. The sidewall connects the contact patch or surface of the tyre to the rim a taller sidewall is preferred for a 4×4 as it creates a cushion between the road surface and your wheels, this will dampen a good deal of impact. A shorter sidewall is often seen on performance cars. The tyre shoulder is the area where the sidewall meets the tread, on road tyres tend to have a sharp shoulder whilst many off-road tyres often extend the tread onto the shoulder giving it a more rounded look, this gives a better off-road performance but can affect noise levels and grip when cornering. The tread is a key component of any tyre, this is the actual contact patch between the wheel and the terrain. It consists of tread blocks (raised sections) and voids ( the space between the blocks) so tyres with less void and less pronounced tread blocks will have a larger contact patch and as such will perform better on tar, taller tread blocks with greater voids will be more suitable for off-road conditions. The rating of the tyres are important as well P denotes Passenger and LT denotes Light Truck, LT Tyres are generally stiffer but the sidewalls are less prone to punctures and cuts. It’s important that you also consider how much off-roading you will be doing as well as the typical loads you will be carrying. Many people only use their vehicle for an annual holiday; in that case, a Passenger tyre would be more suitable. If most of your use is on tar and gravel it would be worth sticking with the HT (Highway Tyre ) that is standard fitment. They offer reasonable off-road performance as well. Primarily they are designed to eliminate road noise, offer good handling and fuel consumption. If you head out into the bush regularly it’s worth considering an all terrain ( AT Tyre ) The tread is far more aggressive ( Block and Void pattern ) this allows the tread to sink into softer terrain and gain traction. As previously mentioned this type of tyre has a thicker stronger sidewall making it more resistant to cuts, tears and scrapes in the rough. This also helps the tyre from de-beading should you need to deflate. Many folk love to fit mud terrain tyres ( MT) these tyres have a very aggressive tread pattern but are noisy and not good on sand. 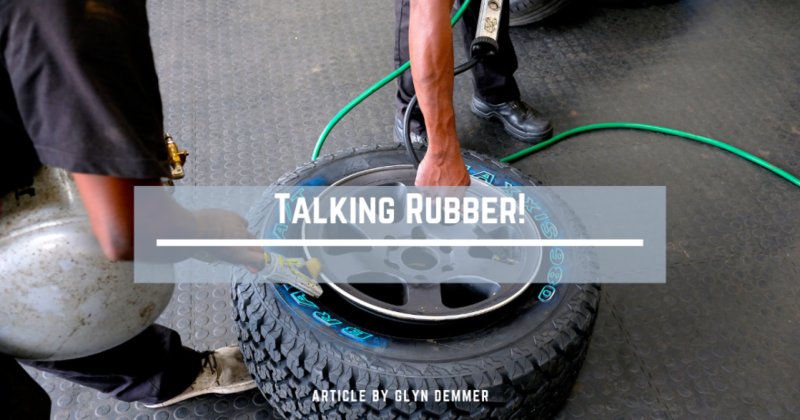 If you are unsure chat to a tyre expert who will assess your needs or do some research, there are numerous knowledgeable websites, also chat to the community – perhaps even attend a club open day or training session.